They were prophets of liberty and truth. They bravely led their men onto the battlefield to face the cold steel of the dreaded Redcoats. They were hated and feared by the British who called them the “”Black Robed Regiment.”” Who were they? They were America’s “”patriot preachers”” of the 18th century. Believing the Bible addressed every subject, including politics, wearing their black preaching robes, they boldly preached about spiritual and civil liberty. When the inevitable clash with the British came, they courageously defended liberty. 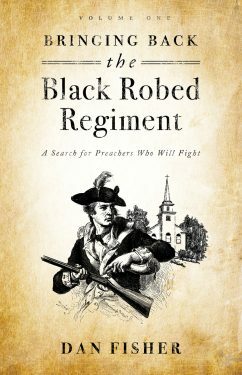 Bringing Back the Black Robed Regiment documents how these preachers courageously led their men onto the battlefield. Volume II explains the biblical convictions that motivated them to fight and shows how America will not survive without a rebirth of patriotism in the pulpit.